Nowadays, eCommerce is equally, if not more important than, physical stores and should be treated as such. Just as it would be unacceptable to run a dirty store, with outdated design and a counterintuitive layout, an online businesses must care about first impressions and the overall way they conduct their operations with potential online customers. The benefits of carefully thought out web design are endless. It helps increase revenue, leads and conversions, aids in maintaining a cost-efficient business model, and plays a role in improving search engine rankings and achieving higher levels customer satisfaction. This year has seen many changes in the way designers conduct web design for businesses. 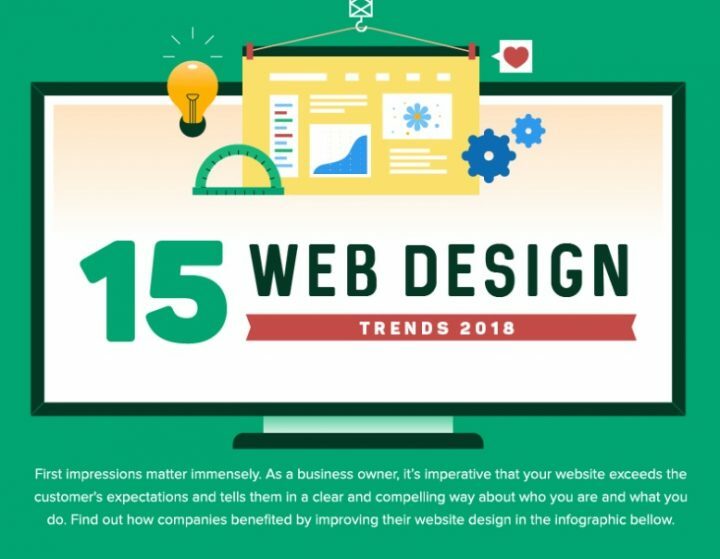 The featured infographic spotlights fifteen of these new trends, highlighting the fact that trust and engagement should be carefully considered when designing a website. Both online and offline, trust is paramount for any business. Tweaking web design strategies can help a company establish trust, as more than 90% of visitors to a site will bounce from a page and stop trusting it if its web design is bad or degraded. Establishing trust primarily depends on your customer services and products, but providing easily accessible information users can intuitively find on your website can go a long way towards building some initial goodwill. 70% of American marketers say that personalized content is vital for a website. Accordingly, this year has seen a growing number of companies adopt strategies aimed at establishing a relationship with customers beyond a simple transaction of goods and services. Businesses are increasingly focusing on content strategies such as blogs and video channels which are used to push content related to their operations, team, and products. Check out more strategies and web design trends in the infographic below!